Abnormal psychology is the field devoted to the study of causes of mental dysfunction (mental illness, psychopathology, maladjustment, emotional disturbance). Abnormal behavior expressed because of psychological dysfunction can have features of deviance (depending on the culture), distress, and possible injury to self or others. In fact, through the long history of humankind numerous types of dysfunction have manifested themselves. Abnormal psychology studies the causes and possible treatments of these dysfunctions. The primary research in this field has been done with Western perspectives and research methods. Although a spiritual understanding of mental illness was embraced in ancient Western civilizations and in Eastern culture, it has been largely dismissed by the scientific community and by the majority of psychologists in more modern times. In the twentieth century, two opposing perspectives on the etiology of mental disorders developed—somatogenic (physical origins) and psychogenic (psychological origins). Both produced significant research and treatment options. To truly understand the problems that beset humankind a complete approach including all aspects of human nature, including the spiritual, is needed. The field is beginning to expand to a worldwide level, broadening the scope of interpretation of causes of mental disorders to embrace Eastern (spiritual) perspectives as well. Abnormal psychology is the scientific study of abnormal behavior in order to describe, predict, explain, and change abnormal patterns of functioning. It studies the nature of psychopathology, its causes, and its treatments. Of course, the definition of what constitutes "abnormal" has varied across time and across cultures. Individuals also vary in what they regard as "normal" or "abnormal" behavior, or merely idiosyncratic. In general, abnormal psychology can be described as an area of psychology that studies people who are consistently unable to adapt and function effectively in a variety of conditions. The four main contributing factors to how well an individual is able to adapt include their genetic makeup, physical condition, learning and reasoning, and socialization. Many early societies attributed abnormal behavior to the influence of evil spirits. Many early societies attributed abnormal behavior to the influence of evil spirits. Skulls have been found from as long ago as the Stone Age (half a million years ago) with areas removed by a method of surgery that involved making circular holes in the skulls with stone tools. It has been suggested that the purpose for such surgery was to release evil spirits, assumed to be causing mental problems in the patient. Exorcism by priests and shamans has also been used in attempts to drive out invading spirits. Ironically, William James, the father of the American tradition in psychology, tried to incorporate a spiritual aspect to psychology that was replaced by the science of behaviorism in the next century. During the Greek and Roman period, 500 B.C.E. to 500 C.E., some symptoms of mental disorders were classified into terms such as melancholia, dementia, hysteria, and hallucinations. They were generally assumed to be the result of some physical problem within the individual. Hippocrates (460 – 377 B.C.E. ), considered to be the father of medicine, referred to brain pathologies as "humors" caused by yellow bile, black bile, blood, or phlegm. Plato (427 -347 B.C.E.) and Aristotle (384 – 322 B.C.E.) also believed that mental disturbances were generated from within the individual not from the influence of outside forces. In the Middle Ages in Europe, 500 – 1350 C.E., the presence of Christian priests expanded across Europe. Deviant behavior or psychological dysfunction was viewed as created by the conflict between good and evil, God or Satan. Cruel methods of ridding the afflicted person of the devil’s influence were varied and often resulted in death or permanent disabilities. Hospitals to care for the mentally ill began to emerge at the end of the period. The Renaissance period was a time when science flourished. The German physician, Johann Weyer (1515 – 1588 C.E. ), was the first doctor to specialize in mental illness and is consider to be the founder of modern psychopathology. Some progress was made in England and Belgium to care for the sick but this deteriorated by the mid-sixteenth century when asylums began to replace hospitals. The first asylum was founded in Spain. In London, 1547, Henry VIII opened Bethelehem Hospital (pronounced Bedlam by the locals), resulting in the word "Bedlam" being used for lunatic asylums in general, and later for a scene of uproar and confusion. 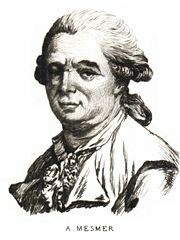 At the time of the French Revolution, Philippe Pinet (1745 - 1826), became the chief physician at La Bicetre asylum in Paris. He believed the patients were sick people in need of kindness and care. The English Quaker, William Tuke (1773 – 1813), started similar reforms in the United States. Dorothea Dix (1802 – 1887) further championed the cause of human public care and took it to the level of political reform. She personally helped to establish 32 state hospitals. In the early twentieth century, two opposing perspectives emerged: somatogenic and psychogenic. The former held that abnormal behavior had physical origins and the latter held that the causes of such were psychological. Biological science found causes for illnesses such as syphilis. The study of hypnotism launched the psychological origin (psychogenic) perspective. Franz Mesmer (1734 – 1815) introduced the treatment of hysteria with hypnotherapy, but this method called "mesmerism" was not well regarded by doctors of his day. Hypnosis was not seriously studied until the late 1800s in Vienna. It attracted Sigmund Freud (1856 – 1939) who later founded psychoanalysis. Many different professions may be involved in studying mental illness or distress. Most notably, psychiatrists and clinical psychologists are particularly interested in this area and may either be involved in clinical treatment of mental illness, or research into the origin, development, and manifestations of such states, or often, both. More widely, many different specialties may be involved in the study of psychopathology. For example, a neuroscientist may focus on brain changes related to mental illness. Therefore, someone who is referred to as a psychopathologist may be one of any number of professions who have specialized in studying this area. Psychiatrists in particular are interested in descriptive psychopathology, which has the aim of describing the symptoms and syndromes of mental illness. This is both for the diagnosis of individual patients (to see whether the patient's experience fits any pre-existing classification), or for the creation of diagnostic systems (such as the Diagnostic and Statistical Manual of Mental Disorders) which define exactly which signs and symptoms should make up a diagnosis, and how experiences and behaviors should be grouped in particular diagnoses (such as clinical depression or schizophrenia). There are many models of abnormality that have been developed by those involved in attempting to treat those suffering various disorders. This perspective is adopted from a medical approach and typically regards a malfunctioning brain as the cause of abnormal behavior. Many factors are considered to be potential causes of biological dysfunction, ranging from head injury to poor nutrition. Genetics, evolution, and viral infection are areas that have received a great deal of attention. Treatments by biological practitioners utilize psychotropic medications, electroconvulsive therapy (ECT), and neurosurgery. The psychodynamic theory regards human behavior to be determined by underlying psychological influences that usually are unconscious. These influences (also called forces) are dynamic in that the relationship between them gives rise to behavior. Abnormal symptoms are created when conflicts arise in this relationship. This theory postulates that all behavior is determined by childhood events and past experience. 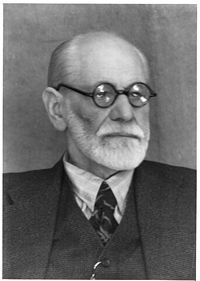 Sigmund Freud (1856 – 1939) and Josef Brener (1842 – 1925) conducted experiments with hypnosis which put Freud on the path of formulating this theory. He contended that a person could become fixated or stuck at a stage where trauma occurred (usually childhood). Treatment then consists of psychoanalysis, which involves bringing into conscious awareness the traumatic childhood conflicts that have been repressed, and thus making them amenable to resolution. The behavioral model originated in laboratories experimenting with learning, where the understanding of conditioning arose. In operant conditioning, for example, human beings and animals learn to behave a certain way based on the rewards that they receive for certain responses. In classical conditioning, discovered by Ivan Pavlov (1849 – 1946) while experimenting with dogs, events occurring closely together in time whether positive or negative will be generalized and create the same response for either event at a later time. If one event produced happiness, the other event (even if it was negative) can be remembered as positive. The behavioral model of psychopathology suggests that abnormal responses, particularly phobias, were formed through a conditioning process, and also can be treated through new learning—a process known as behavior therapy. Albert Ellis (1962) and Aaron Beck (1967) developed the cognitive model in the early 1960s. They proposed that cognitive processes are at the center of behavior, thought, and emotions. To understand abnormal behavior required the clinician to ask their client questions about their attitudes and assumptions. Abnormal functioning according to cognitive theorists is explained by realizing that everyone creates their view of the world that comprises their reality. If the view created by an individual is flawed then unhealthy thoughts create dysfunctional behavior. Poorly adapted personal world views are the result of assumptions that are inaccurate. This leads to attitudes that are negative. Illogical thinking processes also are a source of destructive thinking patterns. One of these manifests as over-generalization which draws a broad negative conclusion following a minor event. Treatment in this approach involves therapy sessions which work to change a client's self-defeating beliefs and behaviors by demonstrating their irrationality and rigidity. It is believed that through rational analysis, people can understand their errors in light of the core irrational beliefs and then construct a more rational way of conceptualizing themselves, their world, and the events in their lives. Humanists and existential theorists ate grouped together in the humanistic-existential model because of their focus on the broader dimensions of human existence. However, there are differences between them. Humanistic psychologists maintain that human beings are naturally born with positive tendencies such as cooperation. The goal of people is to fulfill their potential for goodness and growth called self-actualization. Carl Rogers (1902 – 1987) is often considered the pioneer of the humanistic framework. He developed a warm approach to his work called client-centered therapy which focuses on supporting the person's achievement of their potential and their life goals. Existentialists believe that from birth, each person has total freedom to face existence and find meaning or avoid taking responsibility. The existential view derived from nineteenth-century European existential philosophers. The sociocultural approach holds that abnormal behavior is caused by the role that society and culture play in an individual’s life. It considers societal norms, roles in the social environment, cultural background, family, and views of others. Sociocultural theorists focus on societal labels and rules, social networks, family structure, communication, cultural influences, and religious beliefs. Beyond understanding how the genetic, chemical, electrical, and molecular dimensions in brain function, many practitioners have taken on a more eclectic approach to treating their clients. In this approach abnormal behavior is studied from the viewpoint of the psychological, biological, and societal influences on behavior. ↑ Ronald J. Comer, Abnormal Psychology (NY: Worth Publishing, 2006, ISBN 0716769069). ↑ About APA APA Online. Retrieved February 1, 2018. ↑ World Health Organization. Retrieved February 1, 2018. ↑ WHO - ICD. Retrieved February 1, 2018. American Psychiatric Association. Diagnostic and Statistical Manual of Mental Disorders DSM-IV, 4th ed. Washington, DC: American Psychiatric Association, 1994. ISBN 0890420610. American Psychiatric Association. Diagnostic and Statistical Manual of Mental Disorders DSM-IV-TR, 4th ed. (Text Revision.) Washington, DC: American Psychiatric Association, 2000. ISBN 9780890420256. Psychopathology journal by Karger Publishers. This page was last modified on 25 January 2019, at 16:59.